These were listed on the Morrisons online page under new grocery items, and so I added them to my virtual basket. I like Penguin bars, and have them as an occasional lunch box treat. 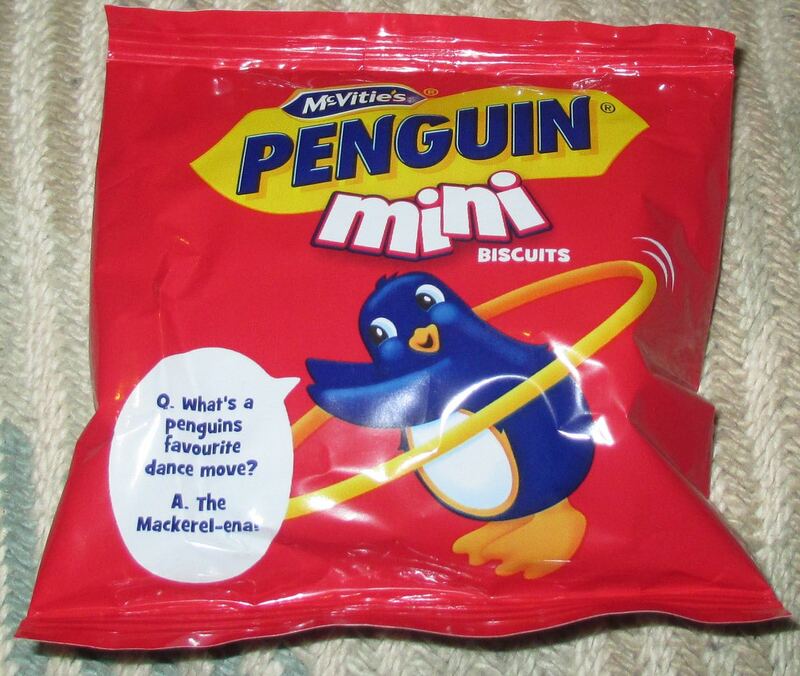 These new McVities Mini Penguin Biscuits looked like they would do the same job. 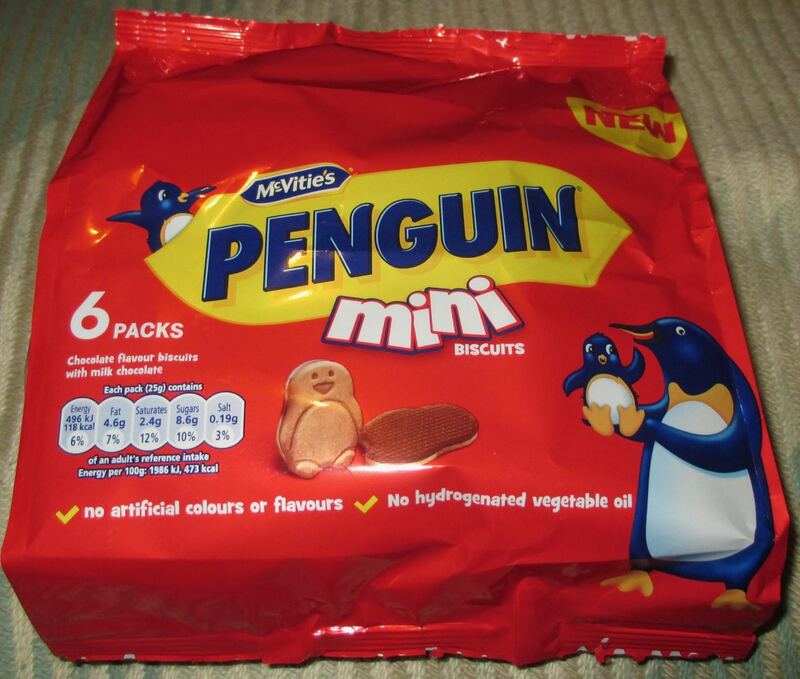 Inside the multi-pack are six small bags all containing eight mini penguin biscuits. When I say penguin, I really do mean penguin, the biscuits are cutely shaped as laughing penguins. 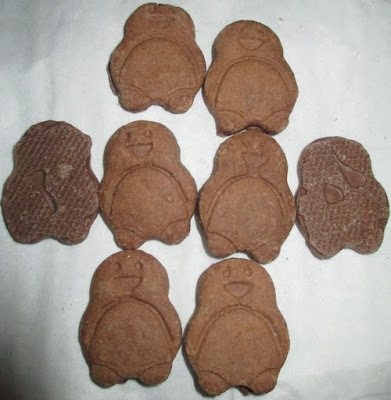 They did make me smile, who doesn’t want to bite the head off a laughing chocolate biscuit penguin…. Each of the biscuits has one side dipped in chocolate, and the biscuit themselves are also chocolate flavoured. They have a nice flavour, sweet and chocolatey, and a lovely crunchy texture. There was a flavour of the Penguin bars about them, which I think was emphasised by the slightly wheaty taste, and they were very pleasing to munch on. These are a lovely accompaniment to an afternoon coffee, and worked well as a pick-me-up on a busy, post relaxing weekend, Monday. I am going to enjoy having these in my lunchbox as a treat, and at 118 calories in the bag, I shan’t even feel to guilty about them.